New trends continue to develop within the field of medicine as physicians, consumers, managed care organizations and employers constantly strive to improve the quality of health care. Research has shown that complex health problems such as heart disease, cancer, asthma, diabetes and back pain can be treated successfully by centers of excellence. These entities direct all their time and resources toward resolving these costly health care issues. 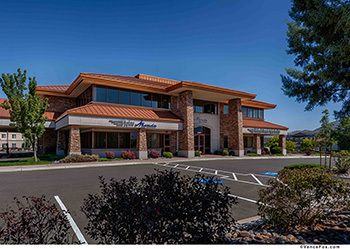 For instance, rather than referring a back pain sufferer across town for diagnostic testing and physical therapy, a spine center of excellence consolidates all the patient’s needs under one roof. Spine care is one of the many areas that has benefited tremendously from a center of excellence approach. By combining multiple disciplines, the team concept creates a level of expertise never before available. This focus helps determine the best treatment solution for each patient. Back and neck pain is an expensive, disabling problem for everyone involved. About 500,000 spine surgeries are performed each year in the United States. Some experts believe that as many as 50 percent of these may be unnecessary. There seems to be an excess of spine surgeries over nonsurgical treatment options particularly in the U.S.
Part of the problem is that as Americans, we are conditioned to look for a quick fix particularly one that involves as little effort as possible. We want a magic pill, treatment or surgery to instantly relieve pain. Another issue is that providers that manage back pain cases often bring to the treatment process inherent biases from their disciplines that favor one type of treatment over another. The back or neck pain sufferer may understandably resort to surgery when poorly designed, nonsurgical treatments fail. However, if a surgeon does not have extensive experience in spine, surgery can create a larger, more expensive, permanent problem — failed back surgery syndrome. These people become doomed to a life of chronic pain, medications, injections and doctor shopping. What begins as a simple case of back pain can evolve into a massive problem, even when treatment providers have the best of intentions. This fragmented, biased treatment approach adds up to one big, frustrating problem for those who have a vested interest in successful spine care, including the employer, the managed care company, the worker’s compensation insurance carrier and, most of all, the patient. Prizm Development has found the answer to the problem of back and neck pain. This solution involves an educated health care consumer. By providing a wealth of information for back and neck pain sufferers, people can make more informed decisions about their health care. The spine centers of excellence in this site have all accessed Prizm’s educational tools and clinical outcome reporting system for the purpose of improving the spine care they provide to back and neck pain sufferers. All these spine centers subscribe to the belief that non-surgical options should be exhausted first, before spine surgery. All believe that spine therapy needs to be active, rather than passive. And they share the belief that a well-informed patient is the best patient of all, because they will be likely to comply with treatment recommendations for exercise, movement, weight loss, quitting smoking and other strategies that promote overall health. All of these spine centers produce at their expense 36-page home remedy books that feature pain-relieving exercises. All of these spine centers have paid to set up online encyclopedias on back and neck pain with exercises, information on symptoms and medical illustrations for the benefit of patient education. We all believe that educated patients are better equipped to play an active role in their recovery from back or neck pain, as well as in the prevention of future problems. A center of excellence approach represents the future of health care and the solution to the frustrating problem of back and neck pain. Health insurance medical directors, employers and work comp insurance carriers are all sensitized to rampant treatment variation as documented in Dartmouth Medical Atlas, that reveals rates of spine surgery vary from 1 per thousand to 9 per thousand across the United States. The use of unnecessary and aggressive spine sugery. Compared to other countries, some experts theorize that half of spine surgeries in the United States are unnecessary. Excessive pain management procedures, including continual use of injection therapy or other interventional procedures even when the patient has not responded to previous injections. Excessive presecriptions for narcotics which creates a disability spiral and subsequent dependency on drugs. Hanging onto the patient by those who provide manipulations and passive, palliative massage, modalities and therapies that “feel good” but provide no real change to the physiology to the back or extremities, either in strength or flexibility. Incessant “doctor shopping” by the patient who pursues multiple procedures and surgeries, prescriptions for drugs that mask symptoms; and passive “feel good” modalities. Fragmented care among the various providers who are located in disperse locations and do not communicate with each other about the patient’s case. In the field of healthcare, there are those who believe that a patient should run an elaborate and expensive circuit of every possible specialty imaginable. So the patient gets in their car and drives around town to fragmented PT centers, diagnostic centers, surgeon offices, pain management offices, etc. In some cases, patients are tortured with out-of-date diagnostic tests like discograms which are excruciatingly painful, yet provide little diagnostic value, and often are not used by the best spine centers at all. We call this the “all pigs to the trough” model. Payors call these entities “surgical mills,” “injection depots” or “shot shops.” It’s a profitable model to create things that exploit care. However, not only is this approach expensive, but it almost always creates specialty bias, where each specialist believes their approach is the best. This leads to further confuse the patient and almost always leads to unnecessary procedures, excessive visits, delayed and fragmented care. Ironically, a center of excellence by definition is not inclusionary. A center of excellence by definition EXCLUDES unnecessary and poorly-trained providers. 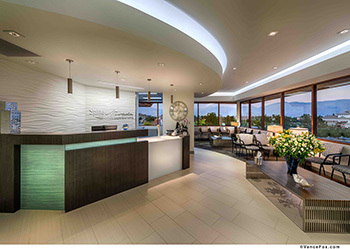 With Prizm-developed spine centers, the philosophy is to internalize three core specialties — physical medicine, spine surgeons and spine therapists. These spine centers are defined more by what they DON’T do to patients. They don’t do unnecessary spine surgery. They don’t do unnecessary diagnostics. They don’t do excessive injections. They don’t hang onto patients for months of worthless therapy. While there are other specialties that play a supporting role with spine care, the spine center physicians can refer out for these services when they prove to be necessary. The result is a very streamlined approach that emphasizes movement and activity instead of pills; conservative treatment instead of an express lane to surgery; and a willingness to audits ones outcomes to continually improve quality and patient satisfaction. Board-certified Physical Medicine & Rehabilitation specialists often fellowship-trained in spine, or other non-surgical interventional MDs who provide spinal injections that can relieve pain symptoms and neurological deficit without surgery. Internal or affiliated spine specialized therapists with credentials in spine that use the spine center’s Home Remedy Book that features spine exercises and emphasizes non-surgical treatment options for back pain and neck pain. Physician exam rooms for physical medicine specialists and spine surgeons to collaborate under one roof for coordination of care and improved communication about a patient’s case. Internal X-ray and access to MRI, CT and other diagnostic capabilities. Internal or affiliated spine therapists emphasizing active therapy with an exercise gym. Internal injection suite or injection procedure suite within an ASC environment for patient convenience. Non-surgical emphasis in advance of spine surgery. Use of minimally invasive spine surgery techniques and instrumentation to reduce the incision, hospital stay, and speed return to activity. Use of the most advanced motion preservation methods including the artificial disc. Use of Ambulatory Surgery Centers where possible to lower hospitalization costs, increase patient convenience, lessen time in the hospital with many patients having surgery and able to return home the same day. Use of spine-credentialed therapists who emphasize ACTIVITY and EXERCISE instead of passive modalities that feel good but cure nothing. Willingness to track clinical outcomes, use of drugs, injections and surgery and functional status. Willingness to explore value-based case rate bundled rates for spine care. Use of the Prizm Home Exercise Book for customized Home Exercise Programs for all patients so they continue on with stretches that prevent recurrences of back or neck pain attacks. Use of an educational Internet site with symptom charts & exercises to make back pain sufferers well-informed healthcare consumers, and less likely to doctor shop for unnecessary procedures and surgeries. Medicare is looking for spine programs that save money with better healthcare. These spine centers are working on that now. Most of these centers are able to price their services to large insurance companies in a predictable way, either for case rates for spine surgery, which include the physician and hospital components, or even an episode of care related to non-surgical treatment. These spine centers undertand that the future of healthcare requires physicians and hospitals to be prudent with utilization of services, and already prepared to provide predictable prices to large insurance companies. If you are a medical director of a healthcare insurance organization, and would like more information, click here.